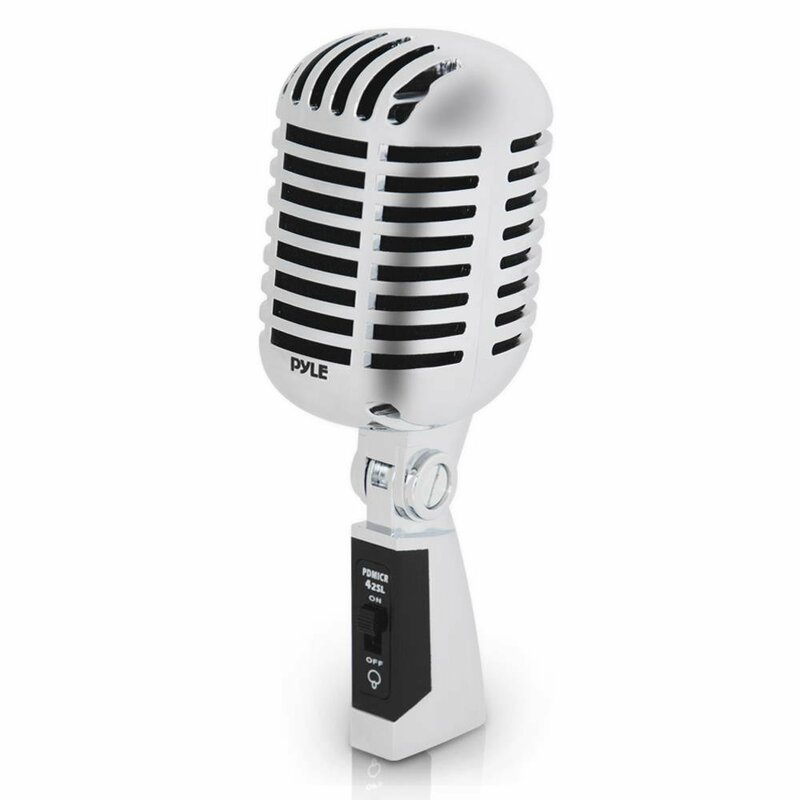 If you’re in a hurry, check out our top pick, Shure SM7B Vocal Dynamic Microphone. If you’re thinking of getting into podcasting this year and aren’t sure where to start, our team has put together some of its recommendations on where to find the best podcasting microphone. While you should be putting most of the focus on having great content for your cast, it’s also key to have the right equipment. A professional-sounding production can sometimes mean greater success or greater reach. Think of it this way: what would you think if you were listening to a show that had a lot of pops and crackles? Dynamic or condenser? This is usually a matter of personal preference, but podcasters need to have an idea of what sort of sound quality they want. Dynamic sound can be more focused, but it usually has a warmer quality. Condenser mics are bright and clear, but they can also pick up more ambient noise. It’s all about finding the tone that you want. XLR or USB? Do you want something that you can plug into your computer or do you want something that uses additional power? Deciding on your power source will dictate a lot of your options, as well as the microphones you have to choose from. Most USB mics are condenser mics, so keep that in mind. XLR will require additional power sources, but you can find both condenser and dynamic mics suited to it. What’s your price range? 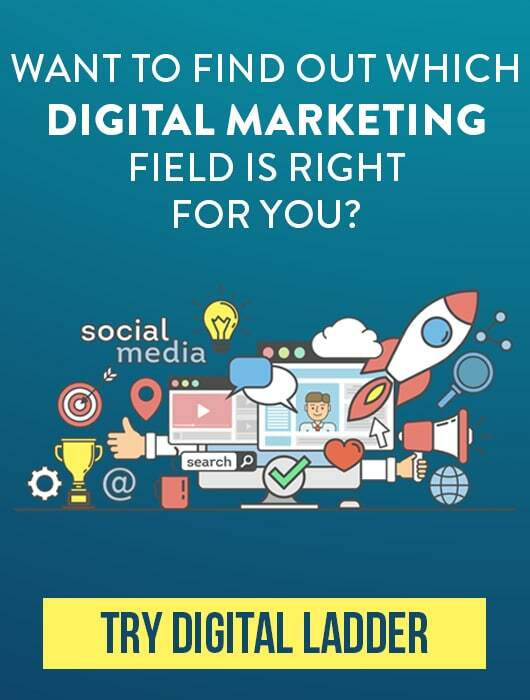 For most podcasters, this is what makes or breaks a decision. If you’re trying out your first podcast, it’s best to start off with something a bit more affordable before investing in more advanced microphones or audio production software. The truth is, you might not need it. However, if you are more experienced in audio production and have high standards for sound quality and control, then it may be in your best interest to choose something that’s a bit more high-end. 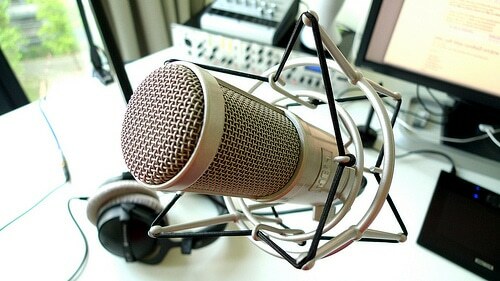 Get started with podcasting with our recommendations on microphones. We’ve put together a list of suggestions for every budget. Feel free to leave a comment at the end of the post with your favorites or recommendations! If you want to know the secret to a great podcast, the answer is in the microphone. When you’re recording a podcast, the only tool you have to captivate your audience is your voice. A high-quality, professional microphone will elevate your material, capturing your every syllable and keeping your audience at rapt attention. To that end, we recommend the Shure SM7B Vocal Dynamic Microphone. It is critical that a microphone reproduce sound accurately for sonic fidelity, and the Shure SM7B provides a wide-range frequency response that captures your speech cleanly and naturally. Whether you’re recording speech or music, the microphone places an emphasis on the mid-range sound via presence boost to keep the sounds as natural as possible. Microphones are able to capture sounds and frequencies that are almost imperceptible to the human ear. You may not notice the electromagnetic hum from your computer, but your microphone will capture it, reducing the quality of your recording. The SM7B is designed to reject the hum, ignoring the broadband frequencies it produces in order to create a cleaner, fuller sound. 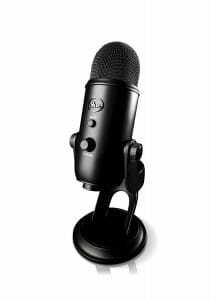 In addition, the microphone is equipped with a pop filter that protects against breath sounds, so you don’t have to worry about loud pops every time you breathe. 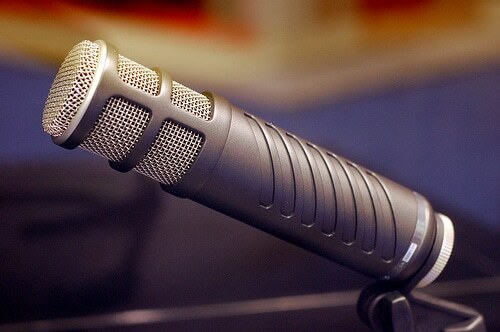 The microphone also features a detachable windscreen that further aids the reduction of loud, sudden noises. This also works to create a warm tone ideal for the intimate nature of podcast recordings. Your listeners will feel like they’re in the room with you while you’re speaking. In addition, the yoke mount on the speaker gives you control over the position of the microphone, allowing you to optimize the recording for your individual setting and comfort level. With an incredible frequency response of 50 to 20,000 Hz, the microphone is able to capture the entire range of human perception, ensuring that no sound or frequency will be left off. The microphone can be optimized for a variety of sounds as well. The ideal settings to capture a strummed guitar are quite different from setting up your microphone to a conversation between two people. Whether you want to talk directly into the microphone or prefer to lean back in your chair, the Shure SM7B is ready to accommodate you. The Shure SM7B is one of the most highly reviewed and recommended podcast microphones on the market. If you’re looking for a quality microphone that will elevate your recordings, this is the way to go. 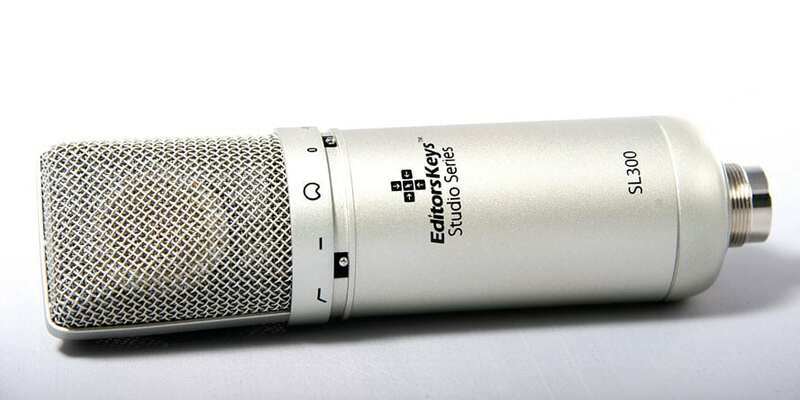 With a retail value between $400 and $500, you won’t find a better microphone for the price. 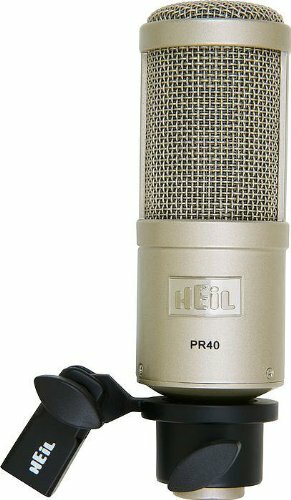 Made for commercial broadcast, live sound, and more sophisticated recording projects, the Heil PR 40 bills itself as outperforming most condenser mics through its wide frequency range. Heil microphones in general have a strong reputation for quality and performance, dating back more than 25 years. Reviewers of this mic note that it’s reliable (some cheaper mic varieties may have dropouts or glitches) and offers incredible side and rear rejection. The sound, for seasoned podcasters, is a perfect blend of bright and rich but still soft and controlled. Think liquid velvet. It’s amazing. The end fire pickup is a serious crowd-pleaser, delighting podcasters, vocalists, and broadcasters alike. The only downside? It’s almost guaranteed that you’ll need preamplification. It clocks in at $375. The RODE NT1-A and its abilities are well-respected by recording studios, TV post-production teams, professional podcasters, and musicians. It uses standard XLR for power and when registered with RODE, includes a 10-year warranty. If you’re looking for a mic that can handle more sophisticated projects while giving you purely professional sound, this $369 wonder is a must-try. This dynamic microphone showcases a tight polar pattern and a tailored-for-voice frequency response that gives you a rich sound that you simply can’t get from a condenser mic. 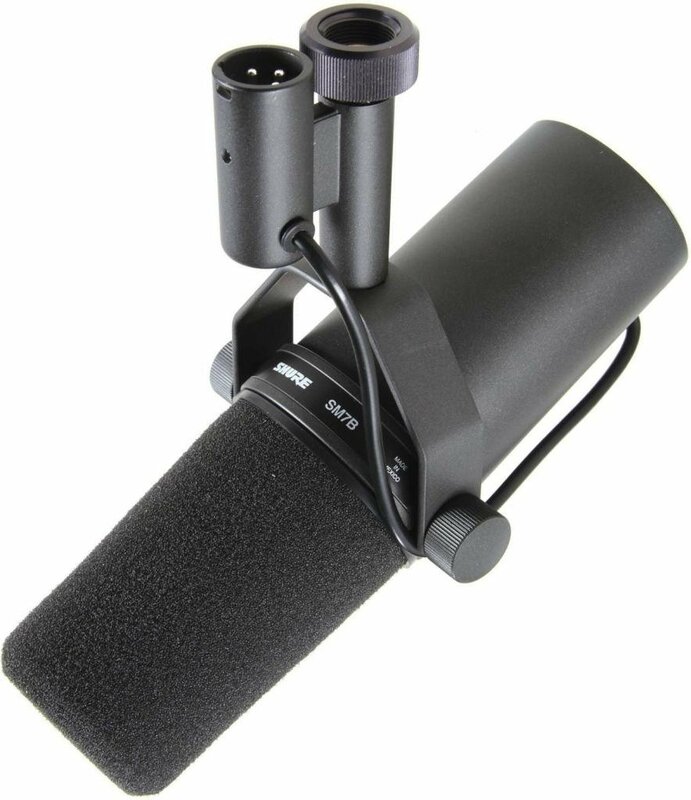 For broadcast-quality sound, the RODE PROcaster podcast mic retails at $369 but we’ve got a discount link below where you can get this mic for just $229. It’s powered by XLR, but if you’re looking for USB, RODE also makes a PODcaster mic in this series. Reviewers note that this mic is best for solo applications, so keep that in mind when considering it for your podcast. Overall, a solid mic that users love for reducing ambient noise, virtually eliminating plosives, and giving your voice a smooth radio-sound. Ideal for vocalists, instruments, and podcasting, this USB microphone is perhaps one of the easiest to use in its price bracket. The drivers in this mic are built-in, so no installation discs are required to get started. The SL300 features dual 34mm internal shock mounted diaphragms, making it a great choice for a podcast with two people. This mic also has multifunction switches – on the left, there’s a low cut switch to cut off frequency below 200hz and on the right, a switch to record at -10db. Just plug in to your computer and you’re good to go. Users love the convenience of not having drivers and enjoy its ability to work easily with with Logic, Cubase, Reason, Serato, Final Cut, Premiere, Avid, After Effects, and other software. Great sound for $185.99. 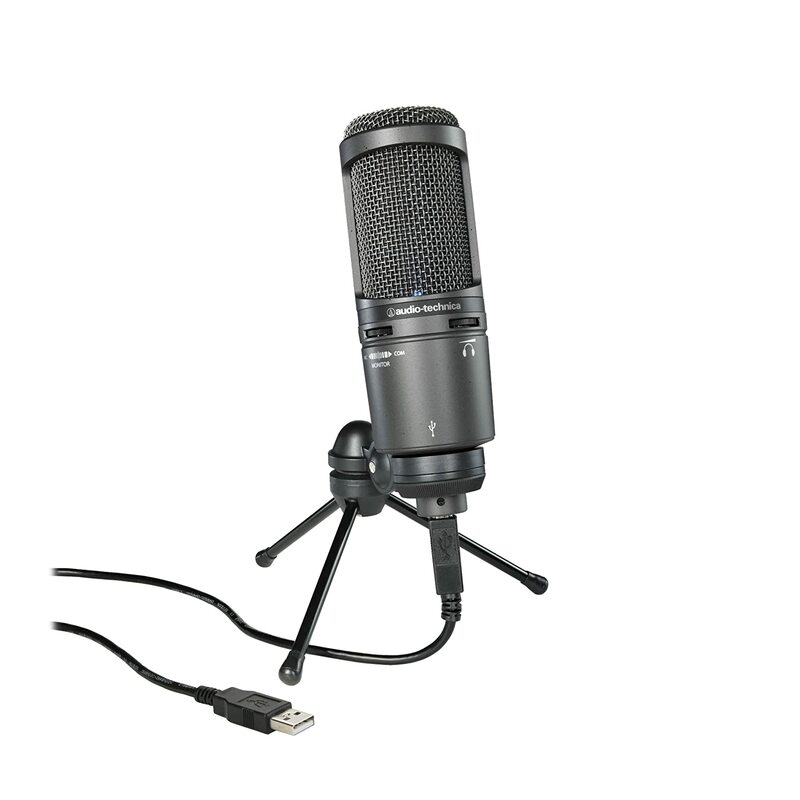 Audio-Technica AT2020 USB Mic is compatible with both Windows and Mac, this USB condenser mic is a popular pick for podcasting, especially when you take into consideration the sound quality for the price (just $129.00). Because it’s USB-powered, this podcasting mic is great for the casual or beginner podcaster – just plug in to your laptop and you’re ready to go. 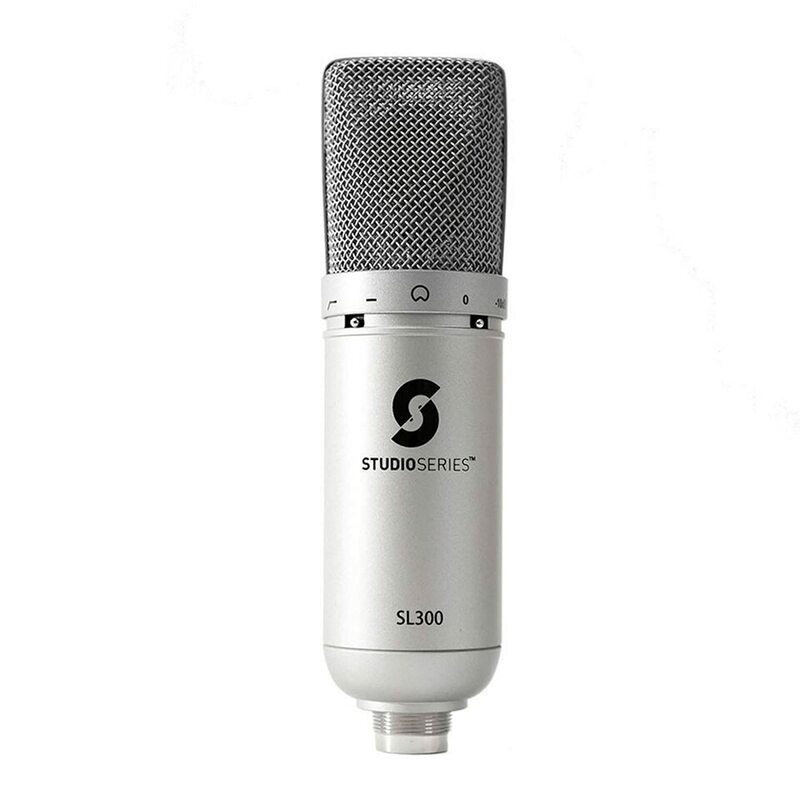 Reviewers note frequently that they love the easy-to-use design, the portability, and the price, as many good quality condenser mics clock in at around $300+. This is a great pick for podcasting, but it can also be used for voiceover, digital recording, music, or field uses (an interviewer’s best friend!). Includes tripod desk, stand, pivoting stand mount, USB cable, and storage pouch. 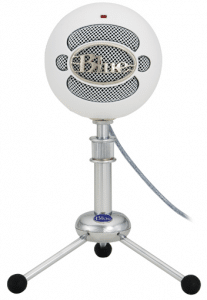 Beautiful as well as a high performer, the Blue Yeti is known throughout the blogosphere for offering the perfect blend of stunning design and audio excellence. It’s a USB-powered mic, so it’s great in terms of portability, but what most podcasters love about the Blue Yeti are its versatile features. There are four modes for recording. Choose from stereo, cardioid, omnidirectional, and bidirectional options to find the sound you want. 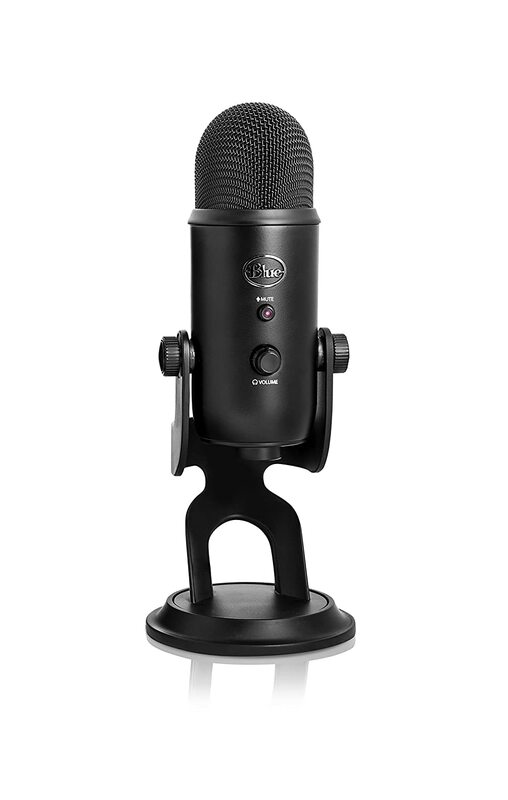 Because of the pattern modes, this microphone is exceptional for podcasters who want to a capture ambient noise or want the ability to capture interviews between two (or more) people. The controls are simple – choose headphone volume, pattern selection, instant mute, microphone gain, and plug ‘n play installation. Coupled with the 3.5mm headphone jack, you get a lot of control over your production. Includes a 2-year limited warranty, integrated desktop stand (it adjusts and pivots easily), and an optional Radius shockmount. Users love the $149 price tag, smart design, and performance. You may need a pop filter and it’s also not a super portable mic because of its weight, but overall, this is one of the most popular podcasting mics out there. 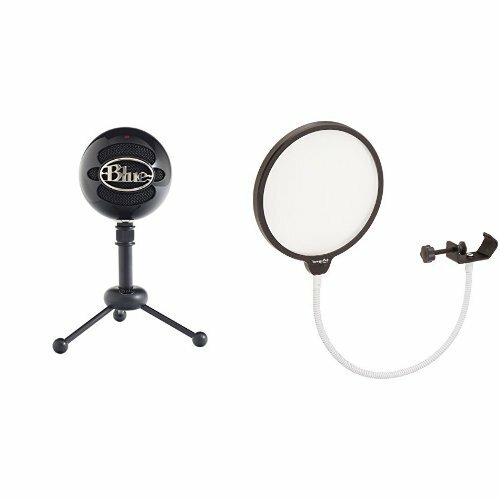 This product bundle brings together one of the most popular starter mics for podcasters, the Blue Snowball, with a set of JVC headphones and a Knox pop filter for a complete kit to get you started on your first production. 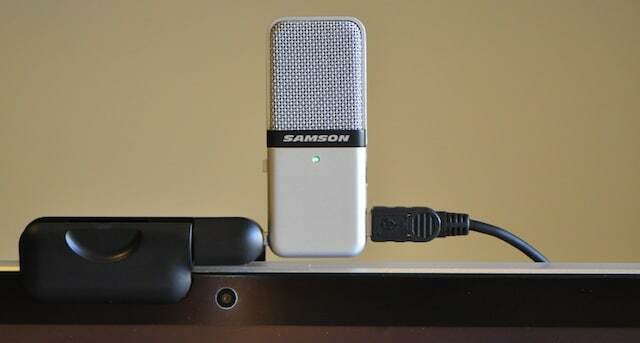 This USB-powered microphone delivers studio-quality recordings in a small package. Vocalists, musicians, podcasters, gamers, interviewers, and instructors alike love the small price tag (just $89 – you really can’t beat the price on the bundle) and find that it is a perfectly capable mic for a variety of applications. The cons are that the included pop filter may be tricky to install and not everyone is keen on the included headphones. Otherwise, for voiceover or podcasting, this is a budget-friendly starter kit. 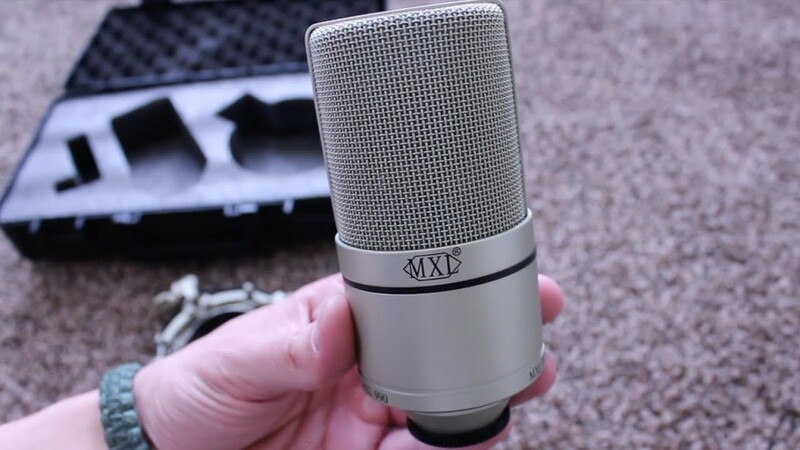 If you love vintage style microphones but want modern capabilities, then the MXL 990 is a great pick for your podcasting adventures. It offers professional sound suited for digital or analog recording. It’s pretty durable and reviewers note that it’s pretty good at blocking out ambient background noise. It uses an XLR cable and will need phantom power. 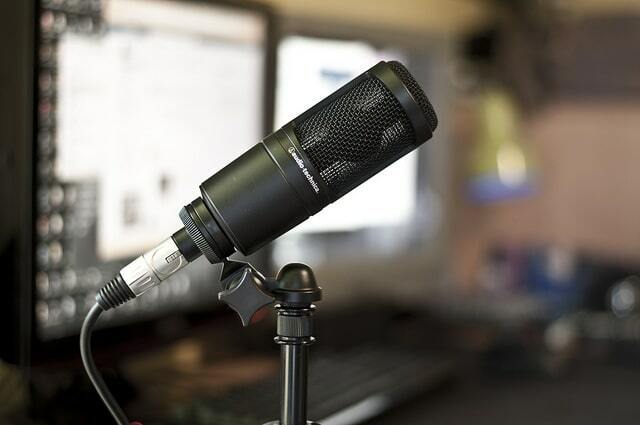 At $96, it’s a relatively inexpensive choice that many amateur podcasters, musicians, and voiceover artists find to be just right for their needs. If you’re constantly on the move and need a mic that can keep up, the Go Mic is probably the best portable recording microphone you can find in this price range ($36). 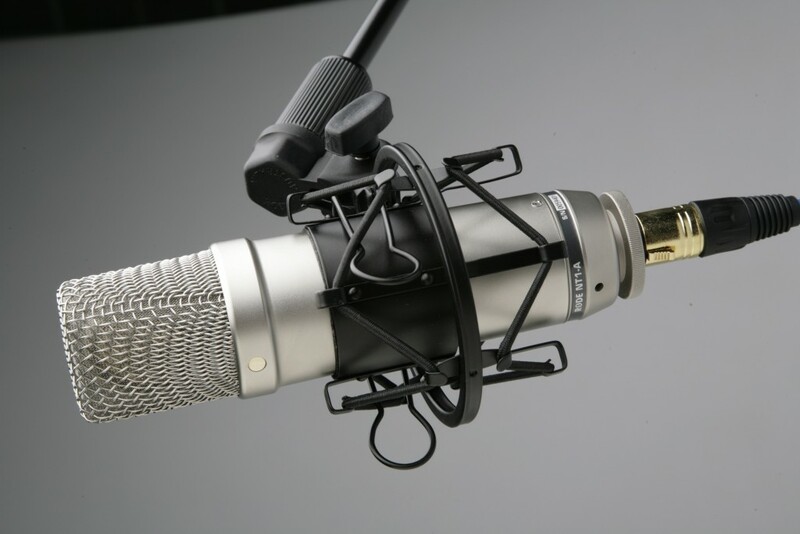 Users note that the sound is a bit warmer than comparable mics and is very sensitive. 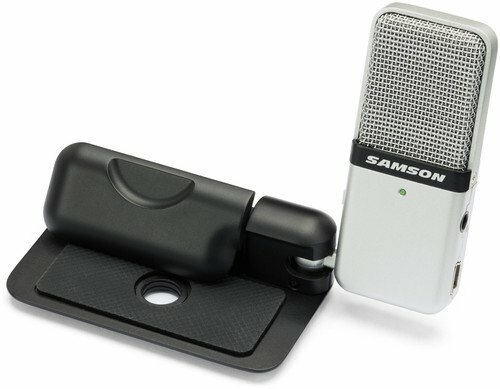 This mic includes Samson’s on Music Creator software for enhancing your audio while podcasting, too. Very small, very light. The only downside is that you’ll need a pop filter to minimize pops. Otherwise, a solid and low cost podcasting pick. 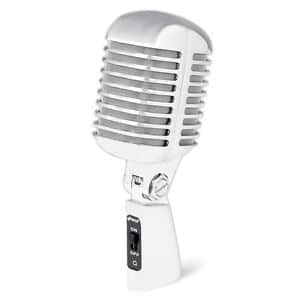 Channel your inner crooner (or not), with this retro-styled microphone. Designed with musicians in mind, Pyle PDMICR42SL is a really affordable choice for anyone looking to do some amateur recording, but it’s also a good pick for podcasting. Studio and stage-tested, this dynamic mic gives a richer sound than condenser mics (think vintage broadcast). It’s powered by XLR, has a frequency response of 30Hz-15Hz and has a cardioid polar pattern to ensure smooth recording. There’s a self-tension swivel mount, too. Users love the unique design and the affordable price ($37), but they aren’t keen on the plastic construction and audio fidelity. If you don’t mind some crackles and pops, this is a good starter mic for any podcaster. 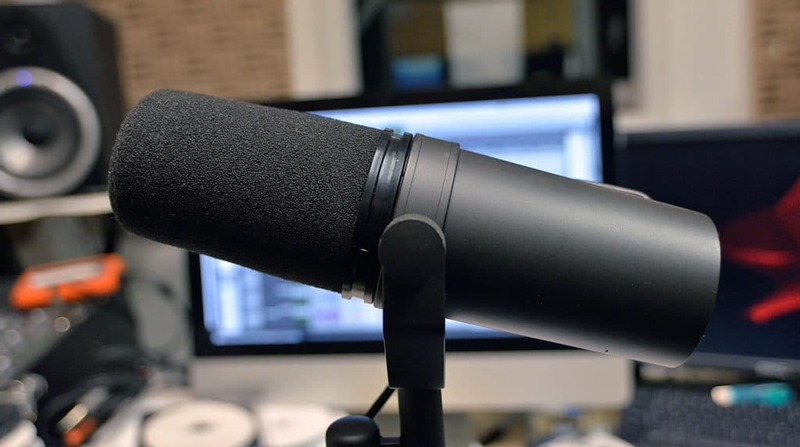 While these are just a few of the recommendations out there for podcasting, it is important to have a grasp on the basics regardless of whatever podcasting microphone you choose. Remember that you need to get close to the mic to give you a tight sound and really pay attention to the way that your speech sounds in terms of pops/plosives. Use headphones to give you an additional edge so that you can hear what your listeners hear. Happy podcasting!